On this training you’ll learn the key foundational pieces you need to have in place in order to set yourself up for success. You’ll then learn the top business development strategies for 2019 in regard to what’s working now to market and grow your business. Let’s face it – marketing and diversifying your appraisal business can be tough if you don’t know what to do! It’s the old adage that always comes back to…You don’t know what you don’t know! There are plenty of so called marketing ‘experts’ and/or gurus who will tell you they can help you grow their business, but how many of them have actually done it successfully…in the appraisal industry, and how many of them know exactly what’s working RIGHT NOW for appraisers? It’s critical that you really important you spend time working ON your business by implementing proven tactics that will help you get more done and get better results… both in the short term and the long term. Watch this training and get the step-by-step blueprint for getting more non-lender work in 2019. 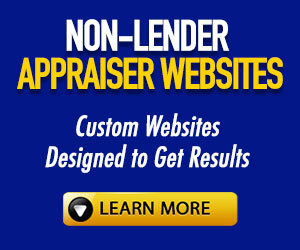 Non Lender Appraiser Websites – These are the top rated websites for appraisers that have been proven to get results. The only appraiser website provider where you own the site. 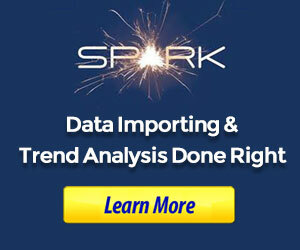 Built and tested by appraisers with the latest technology and marketing best practices. Click here to learn more. AppraiserMastermind.com – Join an exclusive group of the top appraisers from around the country where we discuss what’s working, share resources and connections, and gives you access to the top proven training on exactly how to do everything shown in the Blueprint training. Limited to one appraiser per area. Learn more and apply here. Do You Have a Clear Vision For Your Appraisal Business?